Home Tech Gaming Industry Trends What New Features Can You Expect from Online Casinos in the Nearest Year? What New Features Can You Expect from Online Casinos in the Nearest Year? From the latest statistics, online casinos are growing in popularity like never before. There are many of them coming to life with every dawning day to give gamers as much variety as possible. This has also significantly increased the spirit of competition among online gaming operators, and because of this stiff competition, every casino that is currently in operation needs to stay relevant. The only way to do that is to come up with unique features and embrace new online gaming technologies to retain the loyalty of their audiences and keep attracting new players to the house. Thankfully, features like mobile compatibility have already gone mainstream with platforms like 32 Red Casino Mobile being one of the finest sites for lovers of betting on the go. For sure, in the coming years, online casinos will keep implementing cutting-edge features so that they can stay on top of the game. So, what are these new features that we should expect in the coming years? Here’s a quick breakdown of what we should expect. Even though Virtual Reality is still in the early stages of being embraced, we see it almost everywhere in the world of video games. Major tech companies like Facebook have stopped at nothing to make the dream of implementing Virtual Reality in the online casino gaming to be achieved. Right now, Facebook runs two VR frameworks: Oculus and Valve Corporation Steam to simulate a casino environment via VR. Apart from Facebook, in 2016 Microgaming also capitalized in the technology and they were able to create VR roulette. Net Entertainment is also another online casino provider that has made VR breakthroughs with several of its titles coming with VR versions as well- an excellent example being Gonzo’s Quest VR. This clearly tells us that in the near future, VR will be implemented in many more online casino games as the technology continues being more accessible for the rest of us. This feature is also new in the online casino gaming industry. What’s been happening as we speak is that many players always depend on luck while gambling online to land on a win. It looks like that’s about to change because many online casinos are implementing games that require players to think deep as they play. While this may sound like a bummer for lots of gamblers, you should remember that skill-based gaming means that you can consistently win as long as your skills are sharp enough. Luck, on the other hand, means all your wins are flukes, and there’s no way of doing it all over again. Such games have already started being implemented, and we expect to see more in the nearest years. In gaming, there’s nothing better than feeling completely immersed in the action as you have fun. This is usually the case with plenty of video games because of the devices used for playing and the architecture of the games. This is one of the surest ways of motivating you to come back in any gaming lobby. Normally, the more money you wager, the more you are likely loyalty points or comp points you will earn. And you can later redeem these points or more bonuses and promotions. This gamification technique isn’t that new, and many top-rated online casinos online are already implementing it. This feature is common in the majority of the video games that are available in the market, and it has now been spotted in different online casinos. It is simple, the more points you get from playing, the higher up the leaderboard you will climb. It will automatically motivate many players especially the ones who like competitions, to play more so that they can get high up the leaderboard. After a certain period, top contenders on the leaderboards will usually receive some goodies to keep their spirits high. If you’ve ever played video games, then you must have taken part in a mission or chased after a specific goal. These days, gambling platforms are also coming up with some kinds of goals or missions players can strive for as they play. Completing these tasks, the house will reward you nicely. Apart from just getting the bonus rewards, the main aim of such features is to add more excitement to your betting. There is a growing number of games being developed in online casinos of late. You will find that some betting sites offer over 1,000 different games all under one roof to keep you entertained. As more games keep being produced, there is also a growing trend of creating games based on very popular content like TV Shows and Movies. One of the best examples of such online casino games includes Game of Thrones Slot, Batman vs. Superman and Wonder Woman. Game developers have realized that players want something they already interact with in real life and that’s why such titles are becoming more popular. The main idea behind all these features is for players to get more entertained and connect more with the games. While some of them like VR is still completely new, you can find others in top-rated gaming sites. 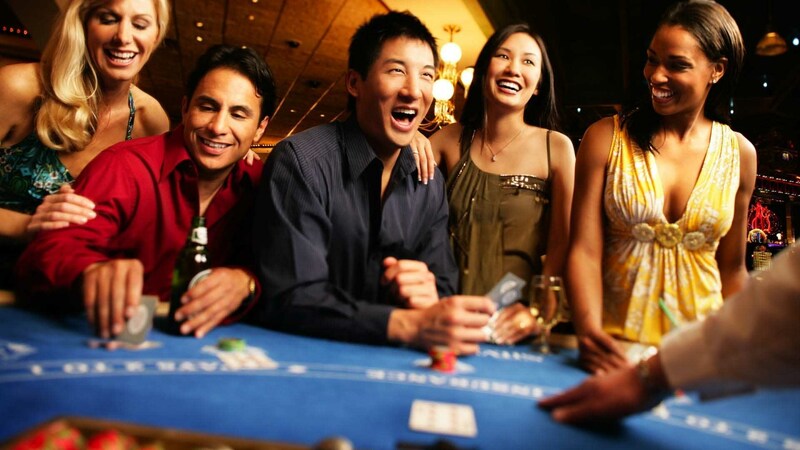 Initially, something like a live casino was like a dream come true for many of us because it brought the opportunity of gambling in real time just like you would in a land-based gambling facility. Now, a live dealer platform is one of the essential gaming sections that determine whether most of us will even join a betting site. So, as the features discussed above get embraced, they’ll become readily available just like live dealers and internet gambling will never be the same again!